If you are facing foreclosure, excessive credit card debts, wage garnishment or lawsuits, Law Offices of Andres Montejo may be able to help you. The Law Offices of Andres Montejo is a law firm that works in bankruptcy protection, and where appropriate, debt settlement. If you have gone through some financially troubling events, such as the loss of a job, medical issues, unrealistic mortgage payments, divorce or other similar life changing events, bankruptcy may provide you with a clean start. We can stop the creditors from calling you immediately so that you’re not afraid to answer your phone. The bankruptcy laws recognize that individuals, families and businesses can sometimes get stuck in a cycle of accruing more and more debt with no realistic hope of breaking the pattern. 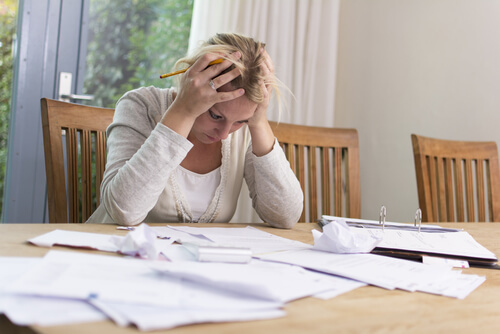 Bankruptcy offers the potential to help you break out of the downward spiral and start over. The sweeping changes to the laws in 2005 made filing bankruptcy more complex, and often inaccessible to most people, particularly those with low incomes. Attorney’s fees increased due to the added complexity of bankruptcy cases; court fees have gone up; there are new credit counseling and debtor education requirements that cost money. However, consider this when contemplating bankruptcy. If you have $40,000 in unsecured debt (such as credit cards and medical bills) at about 20 percent interest, the cost of the interest alone is $8,000 per year. Divided by 12 that is about $667 per month. For less than the cost of 4 months of interest payments, you can pay for a Chapter 7 bankruptcy and be done with it once and for all. Let us help you. We offer a free, no obligation consultation. The purpose of the consultation is to see if bankruptcy is right for you, and to discuss available options. It’s a chance for us to offer you potential solutions, and of course an opportunity for you to meet us to decide if you like us.